Behind the Pass: Have you always loved food? BtP: What hooked you on cooking? AA: It’s a link between the world of nature and the man-made cultural world. BtP: What made you decide to become a chef? AA: Strangely enough, it was music. Becoming a chef was a way to support my love of music. But, organically, my love for cooking surpassed my first love! BtP: Can you talk a little about your first experiences in a professional kitchen? AA: My first impression when entering a professional kitchen for the first time was that everything was so tidy, clean and organized and I thought I would never get used to that! With time I learned to appreciate it. In my opinion, the work in a professional kitchen is like a coordinated choreography. BtP: You did a course in gastronomy while you were abroad, though I’m sure you learned quite a bit on the job as well. Do you think that a professional culinary training is a necessity for young cooks these days, or are they better off learning on the job (either entry-level or as stagiers)? I think culinary classes are important to learn the techniques and tradition behind gastronomy. The courses I did abroad introduced me to this whole universe and did help me a lot in becoming who I am. But I also have to say that a chef is nothing without ability, creativity and willpower. My head chef at D.O.M., Geovane Carneiro, for example, is one of the best chefs I know, he is extremely precise and delicate and has never been to culinary school. Everything he learned was through practicing and observing. So I guess it depends… depends on the person, the school and all the practice a young chef gets and many other things. BtP: Your restaurant, D.O.M. 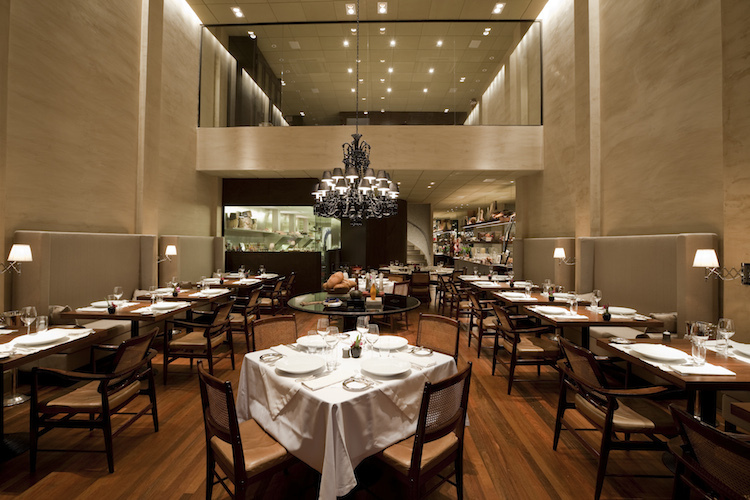 in São Paulo, is widely considered one of the world’s best restaurants. Where did the idea for D.O.M. come from? On returning to Brazll in 1994 after a number of years in Europe I worked as a chef in other restaurants, but it was my dream to open my own restaurant combining Brazilian ingredients with European techniques. D.O.M. opened in 1999 and continues to be the realization of that dream. BtP: Was it an instant success? Have there been hard times? AA: The early days were difficult and represented the biggest challenge. Starting a new business is always tough, but a resistance from the public and the media to accepting the D.O.M style of combining Brazilian ingredients compounded this, many of the ingredients being unfamiliar even to Brazilians, with European techniques. Eventually however acceptance came and since being added to The World’s 50 Best Restaurants list in 2006, interest in D.O.M has increased immensely. BtP: You’ve been known to work with some unique ingredients. What is the most surprising or unique ingredient you’ve ever used? AA: I visit the local tribes quit regularly. One of my favorite discoveries is a fragrant Amazonian root called “priprioca”. The natives here use it as a scent rather then food. So, I decided to use it like an essence, so with help of a perfumer, I developed an extract that I can use in both savory and sweet dishes. (laugh) Its aroma is so intensely herbal…similar to marijuana , but without the effects! BtP: What do you love most about being a chef? AA: Inside the kitchen l love the pressure and need to be perfect at speed. Outside of the kitchen, experiencing the world as a chef is exciting. It has pulled my life in many wonderful directions. BtP: People who have a passion for food usually have fond memories that they enjoy thinking back on. Do you have a particular food related memory that stands out as a favorite, or one that really confirmed your love of food and gastronomy? AA: I have very strong memories of the times I used to go on fishing and hunting trips with my father and grandfather. I used to love that. We would go to remote places just the three of us and we would camp, staying very close to nature. We would also prepare our own food and I think my first understanding of food kind of started there. 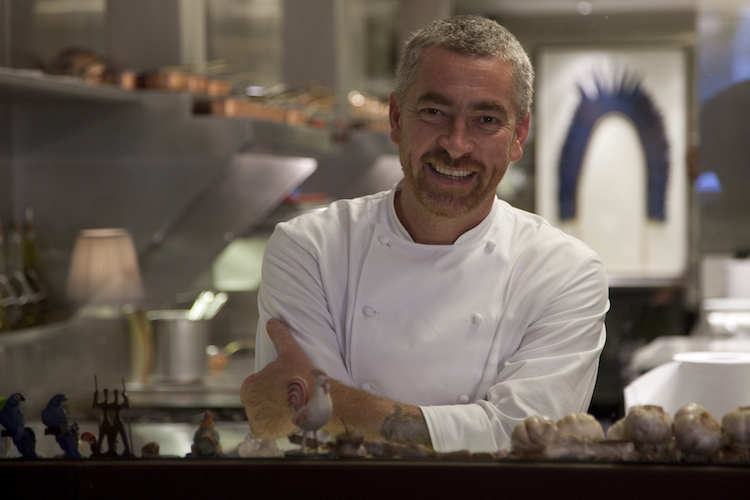 Alex Atala is Executive Chef and Owner of D.O.M. Restaurant, currently ranked 7th on the San Pellegrino & Acqua Panna World’s 50 Best Restaurants list, located at 549 Rua Barão de Capanema, in São Paulo, Brazil.